It is very hard to explain to someone who has never had to deal with a workplace bully what the experience is like. I imagine most people think, “Oh, it can’t be all that bad. He’s a successful businessman. How could he successful if he was this bad.” Until you are in the situation, I don’t think anyone can know just how bad and ugly it can get. When the bully attacks it is sudden and always unprovoked. Now most people would be able to answer whatever question he has asked. But he does not allow that. If I make ANY attempt to answer the question, he immediately interrupts and starts yelling louder. He will repeat whatever accusation he is making over and over and over. It is impossible not to feel the negativity flowing out of him. And it is impossible not to feel the stress and anxiety rising up inside me. I will say though that after a few years of this behavior, I now actually try to answer, no matter how long it takes or how mad it makes him. I let him rant and then I try to respond. I’m usually interrupted several times, but eventually I get out what I wanted to say. Of course, he is never satisfied with my answer but that isn’t surprising. Honestly, the majority of the time, probably as much as 90%, what he is accusing me of is something that either wasn’t done wrong or wasn’t done by me. In fact, it is usually something he has done! What I have found interesting that at this point he will usually start yelling at me that I am “being difficult” or “argumentative.” You tell me, when does answering a question become difficult or argumentative? Beats me. Another one of his favorite things to do is to make disparaging remarks about me in front of others. Snide remarks like, “you said you had filled these statements out, but it sure doesn’t look like it to me.” Or how about, “I don’t care how you think it should be done, you are to do it my way.” He knows, of course, that I am a professional and would never say anything in front of a client that would embarrass him, so I take it. And I hate it. As I have mentioned in other posts, he doesn’t limit his bullying to me. Nor does he limit his bullying to staff. The truth is he also bullies his clients. I have heard him yelling at people in the conference room with the door closed and I’m sitting a good 50 feet away. I can hear every word. The majority just sit there and take it. Who would pay someone to be bullied? It makes no sense to me, but they do. Another favorite of his is to yell at people on the phone. As soon as he starts speaking, his tone gets louder. He argues, curses and then repeats. If someone dares to try to respond to him, he accuses them of interrupting. I’ve heard the phrase, “whoa, whoa, don’t interrupt me, I’m talking now” more than I care to think about. Again, these people are paying him to treat them this way! It’s completely baffling to me. I had worked in professional offices for many years before this job. Trust me, this behavior is not normal. It is disrespectful, intimidating and abusive. And that is what a bully is. Mean, ugly and bad. For a long time I thought I could handle it. But as time has gone by, my physical and emotional strength is deteriorating. My doctor can testify to that! So what to do? Since there are no jobs in the area and I am getting close to retirement age, I know that I won’t be able to find a job in my field. But I am good on computers, love them in fact, and would love, love, love to work from home. Luckily, while pursuing the internet, I came across a way to start online marketing. 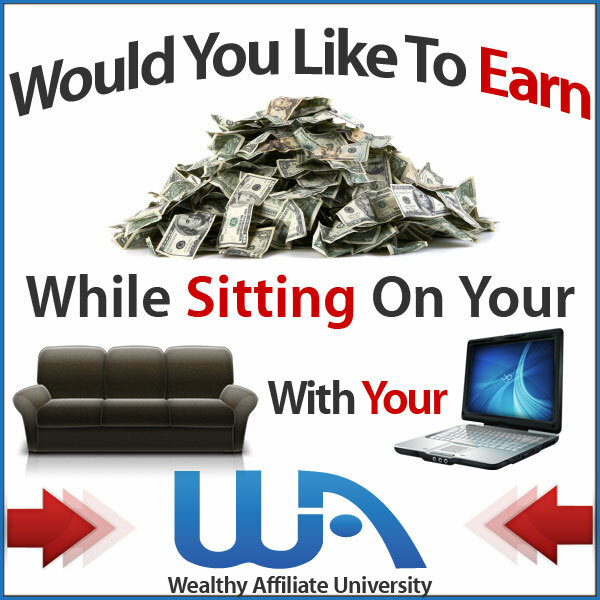 The platform is called Wealthy Affiliate and they not only provide the tools necessary to make a website, but they also provide tons of training. The best part to me has been the huge community that I can interact with. Here is an article I’ve written about my experience with Wealthy Affiliate. Yes, bullying is really painful. However, if we don’t care what other think of us and do what we think is best for us, then bully will be never a matter for us. Thank you for your comment Deraj. I’m not sure that eliminating bullying is quite as simple, I do understand where you are coming from. Unfortunately, continual, ongoing assaults are hard to shake off, no matter how hard we try to believe that we can overcome them. I have been in this type of situations before; however, the supervisor did not bully the clients or anyone outside of the department, in fact others found her quite helpful and would never believe she was that way. I remember one time that I was setting in my office and she ask for a report, as I was trying to get the program to come up she comes in my office yelling and screaming that she needs the report now! I tried to explain that the computer was taking some time and that I was working as fast as I can, but she did not care she wanted the report now. I can remember how horrible I felt and just wanted to leave, so I can relate to the abuse and how it can make people feel. Thanks for your comment, Dena. It’s interesting that a bully can be quite congenial outside of the office. My boss (bully) also comes across as friendly and will visit with people as though they are best friends. But in the office, even with the same people, he is rude and ugly. Go figure. It is obvious from this behavior that they know exactly what they are doing, which makes it even worse in my opinion. The impact on the negative treatment is that of course you feel bad. That makes perfect sense. I am so sorry you had to endure this nasty supervisor. I hope you are doing better now. Thanks again for your comment and please come back and visit.